No matter what you’re looking for in a new car, truck, or SUV, HGreg Nissan Delray has the perfect vehicle for you. We have a wide selection of Nissan cars such as the Altima, Maxima and Sentra for sale in Florida to SUVs for sale such as the Murano, Pathfinder and Rogue. Our top-rated car dealership near Deerfield Beach FL is here to answer any questions that you have and to help assist in the purchase of your new vehicle. 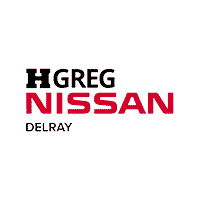 If you are on the market for a new Nissan for sale near Deerfield Beach FL, stop by HGreg Nissan Delray. We have a great selection of new Nissan vehicles for you to choose from and our top rated car dealership near Deerfield Beach works hard to make sure that we have the inventory that our local car shoppers are looking for. Call us at 1-561-666-4913 with any questions or click here to get directions from Deerfield Beach.